Ornithology is the scientific name for the study of birds. It is more commonly known as birding. Basically, birding (or bird watching) is the hobby of observing the different species of wild birds, their physical characteristics and behavior. There are a variety of native New York bird species, making it an ideal place to observe wild birds. As bird watchers observe new species, they learn about different birds, and their migration, behavior, feed preferences, courtship and territories. Many birders mix their bird watching with photography. They often keep a log of each sighting, recording the where, when and how of each species they encounter. Their goal is to find as many species as possible and document the event. Birders may have elaborate bird habitats set up in their back yard compete with feeders and bird houses. Many will travel to locations where certain species are known to frequent. All it takes to begin bird watching is a simple field guide to help identify different species and maybe a good pair of binoculars to get started. Birders realize that the birds they encounter are wild birds and need to be treated as such. Observing from a distance is always best as not to disturb the birds or cause them undue stress. Unless it is absolutely necessary for the safety of the animal, birders never touch a wild bird. In the rare event that they may need to touch or move a bird, maybe to remove it from danger or relocate a fledgling that has fallen from it's nest, they take care to handle it as little as possible. Birds are a big part of New York's great oudoors for anyone to enjoy.This page is designed to help those that might want to take up the hobby of bird watching. 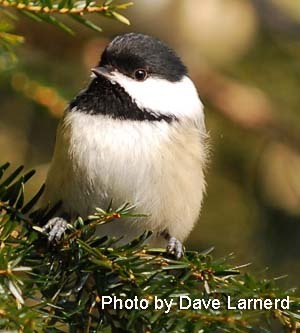 Check back often as we will be adding pages on New York bird species. The pages will include descriptions, habitat, feeding, nesting and some intersting facts about each bird species. We will also have instructional pages on building bird houses and nesting boxes for the different species as well as tips on backyard feeding.